Munsiyari is a comely hamlet situated in the Pithoragarh district of Uttarakhand state, nestled in the snow capped peaks of the Himalayas Munsiyari offers splendid vistas of natural beauteousness. This scenic hill station is perched at an altitude of 2298mts above sea level. Munsiyari literally translated means place with snow, and is also referred as Little Kashmir. Why Visit Munsiyari Hill Station? It offers stunning views of snow capped higher Himalayan ranges. Panchachuli is a group of five peaks and is the star attraction at Munsiyari as they look like chimneys and are amongst the gorgeous treasure trove among the magnificent peaks of Nandadevi, Nandakot, Rajarambha and mountains of Nepal Himalayas. The Virgin environs of the valley offers breathe taking views of the surrounding mountain ranges. Munsyari is famous for its picturesque beauty and trekking excursions and is popular with high altitude trekkers and adventure enthusiasts as this place is the base of Milam, Ralam and Namik Glaciers. It was a previously a restricted area as it is wedged in between the borders of India, Tibet and Nepal but Munsiyari is now emerging as a popular trekking destination and the government of Uttarakhand is also promoting this little paradise of Kumaon. Namik Glacier Trek: The Namik glacier is situated on Kumaon Himalayas near the villages of Gogina and Namik in Pithoragarh district. It is at an attitude of 3,600mtrs. 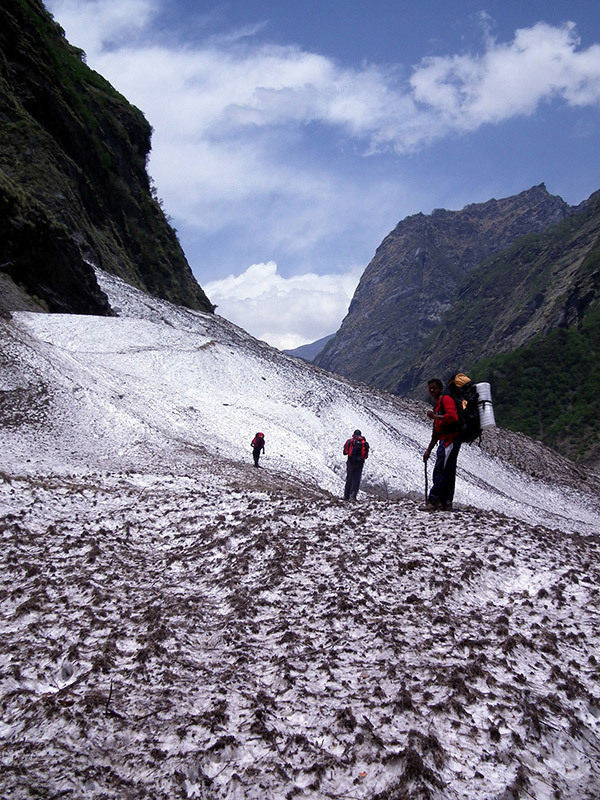 Route of Namik Glacier Trek lies on an ancient Indo-Tibet trade route. This stunning glacier is surrounded by the biggest peaks like Nanda Devi (7,848 m), Nanda Kot (6,861 m), and Trishul (7,120 m). There are a number of waterfalls originating from here. Namik Glacier is the source of Ram Ganga River. This place is 40Kms away from Munsiyari. 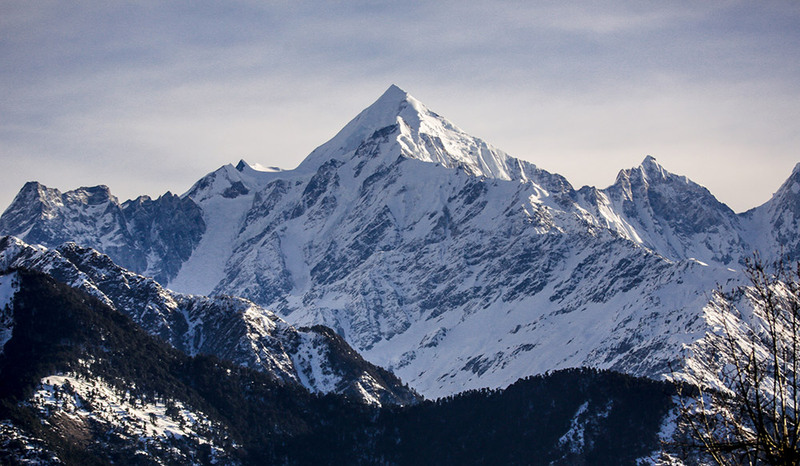 The Panchchuli peaks are a group of five snow capped Himalayan peaks lying at the end of the eastern Kumaon region in the Pithoragarh district. The peaks have altitudes ranging from 6,334 m to 6,904 m. They form the watershed between the Gori and the Darmaganga valleys. Panchchuli is also located on the Gori Ganga-Lassar Yankti divide. The group lies 138 km from Pithoragarh. 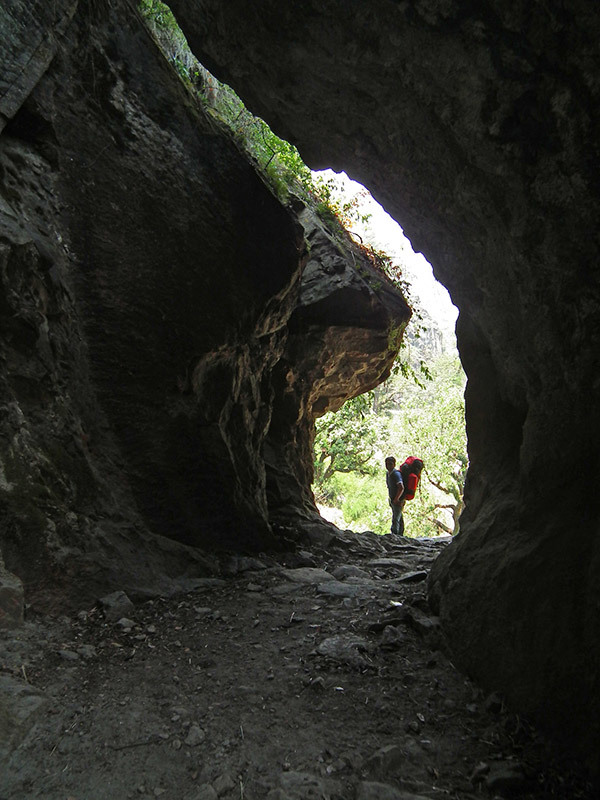 Trekking: Munsiyari is base camp of various long and short treks into the inner regions of Kumaon Himalayas. Trek to Milam Glacier, Namik Glacier and Ralam Glacier commences at Munsiyari. 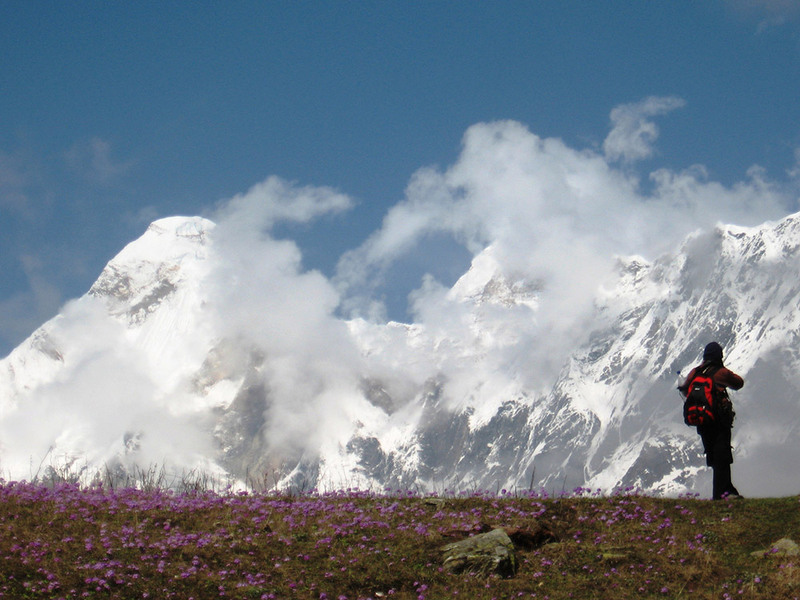 Mountaineers, avid trekkers and nature lovers flock at Munsiyari during the trekking season. Village Tourism: Known for its pristine natural beauty, Munsiyari is a mesmerizing destination which is surrounded by snow covered Himalayan peaks. One can explore the beautiful village and learn about their customs and culture. Bird Watching: The dense forests of pine, deodar and rhodenderon that surrounds Munsiyari is home to many resident as well as migratory aviary species like wagtail, raven, Himalayan griffon, falcon and serpent eagle to name a few. Shopping in Munsiyari: You can buy some fantastic hand-woven carpets or Himalayan tree saplings from the markets of Munsiyari. Best time to visit Munsiyari is from March to October. During March-April, the entire forest area turns scarlet red in hue due as the flower of Rhodenderon blossoms. Make sure your vehicle have enough fuel, sometimes the only Petrol Pump runs out of fuel in Munsiyari. Carry sufficient cash as there are couple of ATMs only, which mostly runs out of cash. Travelling in monsoons is always a concern due to landslides and cloudbursts. Check with local authorities about weather and road conditions before travelling to hill regions. As Munsiyari is a small hamlet, the hotels situated there are sometimes already full capacity, especially during peak season. If it is possible, book your accommodation in advance. Munsiyari is a small hamlet situated in the Pithoragarh district of Uttarakhand. Being a popular trekking base camp, there are quite a few accommodationoptions at Munsiyari. However, one has to realize that Munsiyari is not a tourist destination but a trekker’s delight. Hence, there are only budget guesthousesavailable with limited amenities. One can also camp at Munsiyari if travelling with camping equipments. Finding a proper restaurant that serves different cuisines and delicacies would not be possible at Munsiyari. At best, one can find roadside food stalls and local restaurants serving North Indian cuisine and popular Chinese items like noodles, momos. Some local dhabas may also serve authentic Kumaoni cuisines. The toy town of Munsiyari falls on the ancient salt route from Tibet. Munsiyari is adorned at the entrance of the Johar Valley, extending along the path of Goriganga River to Milam Glacier, which is also its source. Earlier the region was inhabited by Shaukas or Bhotiyas, a semi-nomadic group who used to trade with Tibet. However, the business stopped in 1962, when the border with Tibet was sealed. As the region was not susceptible for agriculture, the natives were forced to migrate to other places. As per the Hindu mythology, the Pandavas of the epic Mahabharata commenced their final journey to heaven from Munsiyari. 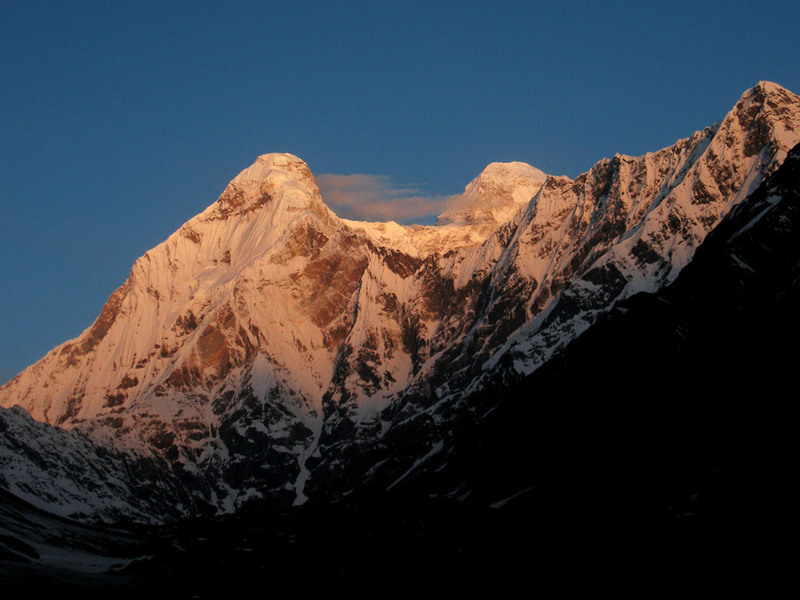 It is said that the five enormous peaks of Panchachuli, represents the five 'chulhas' or stove where Draupadi cooked the last meal for her five husbands. Munsiyari is rich in diverse flora and fauna. It is home to a large number of Rhododendrons, Pine and Deodar trees, Birds like Wagtail, Raven, Falcon, Monal, Himalayan griffon and serpent eagle can be sotted in Munsiyari region. Leopard, Himalayan bear, Fox and Musk deer have made their home in the altitude jungles of Munsiyari. 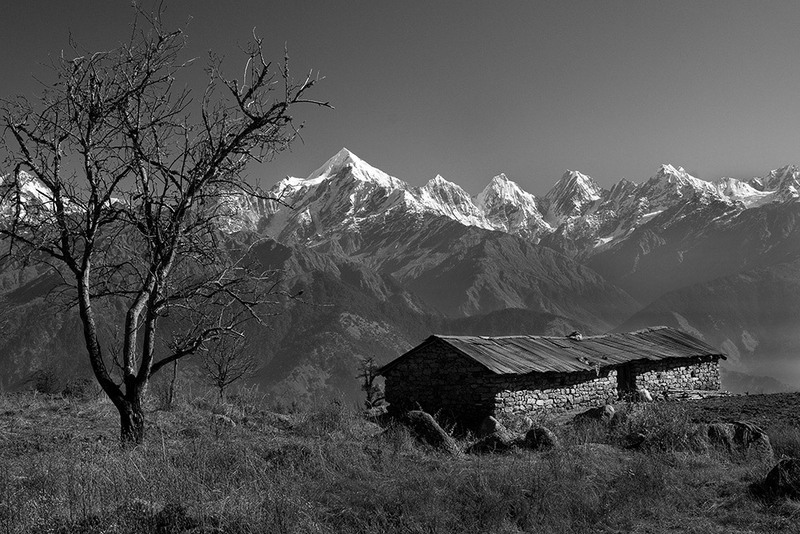 The view of the Panchachuli peaks from Munsiyari is enchanting. March to April: The entire forest area turns red with rhododendron flowers, with snow capped Himalayas distinctly visible makes it an awesome site well worth visiting. What is Munsiyari famous for? Munsiyari is famous among tourist as Hill station and trekking destinations. Munsiyari is recommended destination for Family and Kids, Foreigners, Groups, Solo. Munsiyari is popular destination for following activities/ interests - Adventure, Base Camp (Trek), Emerging Destinations, Hill Station, Trekking. Travelling to Munsiyari in 2019? Contact us for planning your Munsiyari tour with best travel packages of as per your requirements!